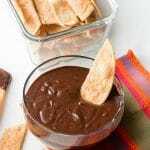 An easy tortilla hack to make churro-flavored dipping sticks paired with a Mexican chocolate sauce is a perfect dessert for a gathering or Cinco de Mayo. In a small bowl, combine the granulated sugar and cinnamon and mix well. Place a piece of waxed paper or parchment paper on work surface. 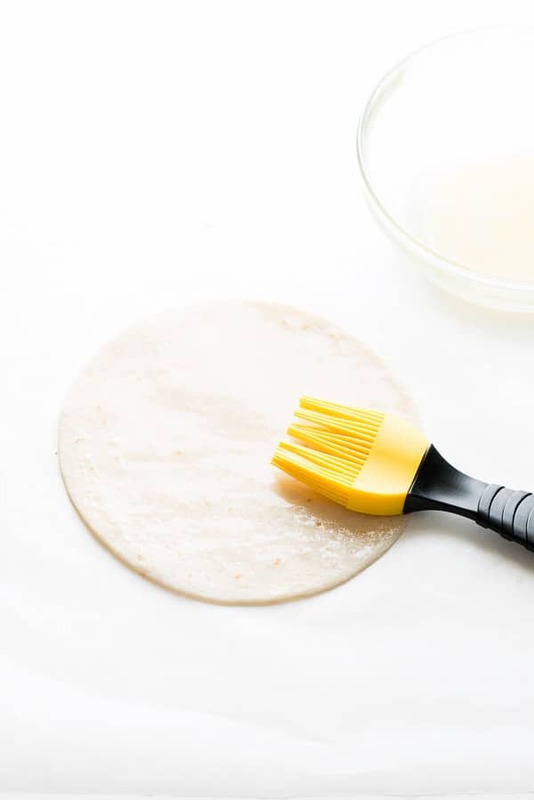 Lightly brush one side of a tortilla with the melted butter. Lightly sprinkle with cinnamon-sugar to cover. 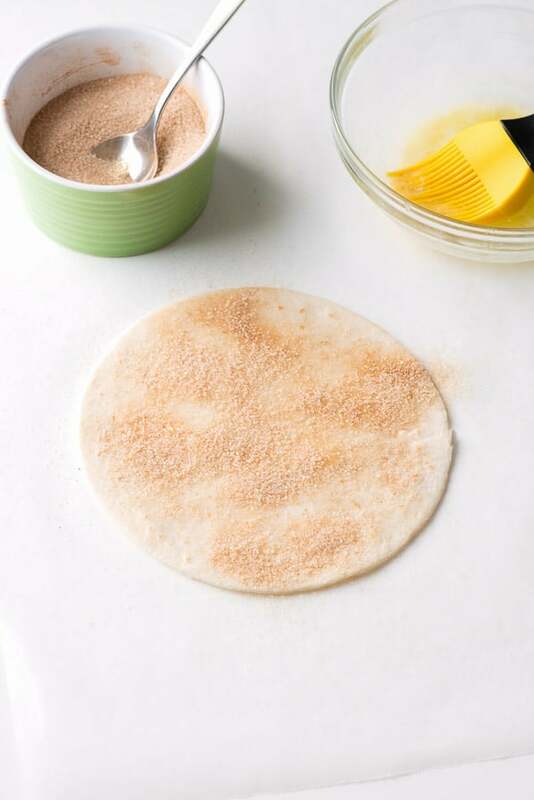 Pick up the tortilla allowing any excess cinnamon-sugar to fall onto the waxed paper below. Pick up the waxed paper and hold opposite sides of the paper together creating a channel to pour the excess cinnamon-sugar back into the bowl. Turn the tortilla over and repeat Steps 3 and 4 to coat on both sides. 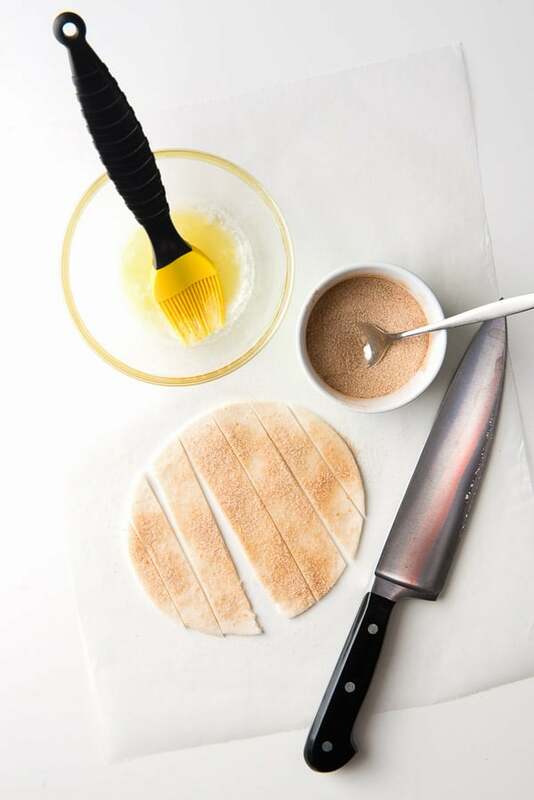 Cut the tortilla into 1-inch width strips. Place on the prepared baking sheet. Using this same method, prepare the number of tortillas desired. Bake for 10 minutes. Remove from oven; remove from the baking sheet and place onto a cooling rack to fully cool and become firm. In a double boiler or in a metal bowl over a medium saucepan of gently boiling water (do not allow the bottom of the bowl to sit in the boiling water) combine the Mexican chocolate, heavy cream and bittersweet chocolate. Stir constantly until the chocolate has melted and the sauce is creamy. Serve warm. Tip: extra sauce may be stored sealed in the refrigerator and will need to be warmed to become liquid again. It can also be added to hot milk for a rich hot chocolate.